My patient care philosophy is focused on providing high quality, evidence-based care. This requires taking time to understand each patient’s unique situation, challenges and goals. My specialty is orthopedic surgery, with a primary focus in hip preservation. I treat all types of hip conditions. 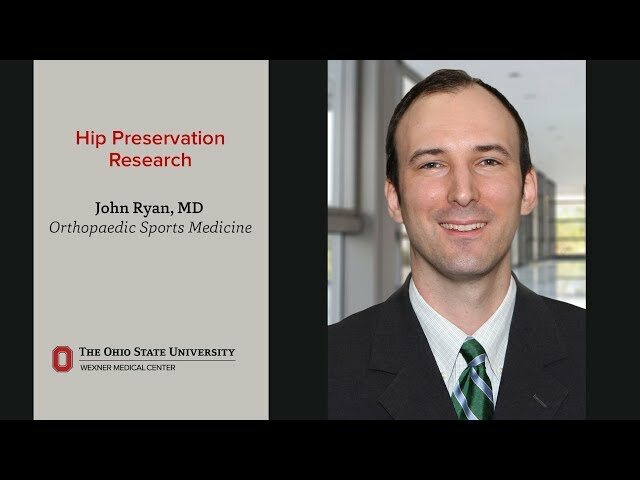 My surgical expertise includes hip arthroscopy, hip osteotomies and anterior hip replacement. The most satisfying aspect of my job is meeting a patient who needs help, creating a personalized treatment plan and following through until full recovery is achieved. It’s incredibly rewarding to see our patients regain the ability to enjoy an active lifestyle. I enjoy working at The Ohio State University Wexner Medical Center because it offers a warm, collegial environment, with continuous efforts to improve the quality of the care we provide and genuine compassion for those who need help. Excellent communicator. Had studied my tests. Explained my condition well and offered useful opinion on course of action. Dr. John Ryan always listens to me and speaks to me in words I understand. He was very kind and helped me find me another surgeon who could help me quicker than he could. He was very intent I felt comfortable with new surgeon, everyone did, I felt cared for by every one. always attentive and easy to communicate with. Dr. Ryan was his usual pleasant and highly competent self. Dr. Ryan was very polite and courteous.